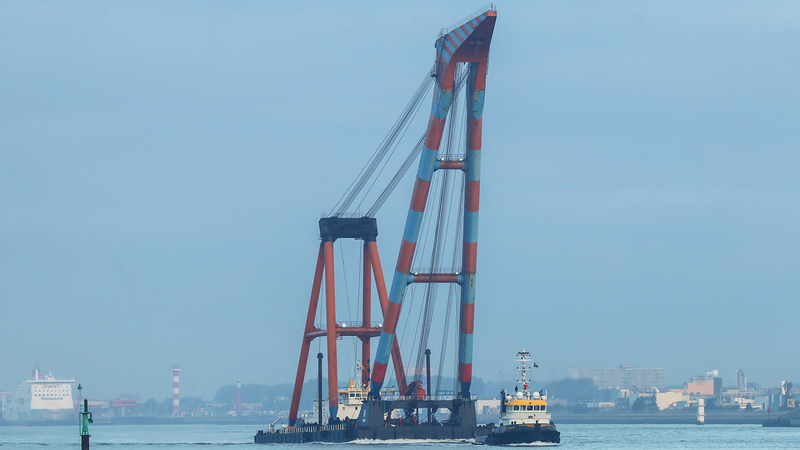 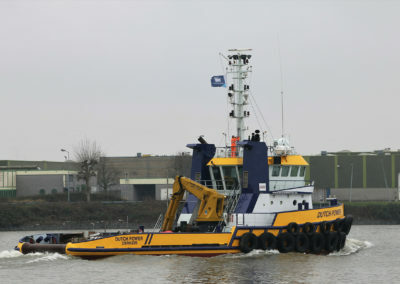 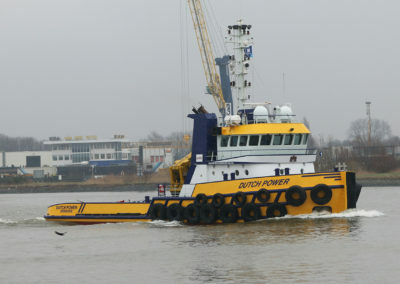 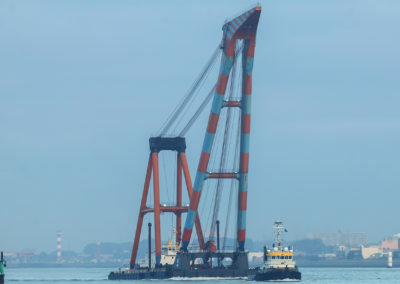 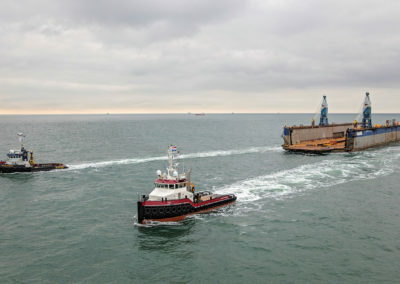 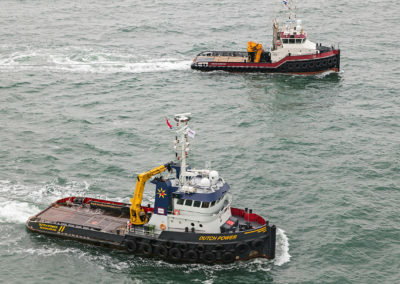 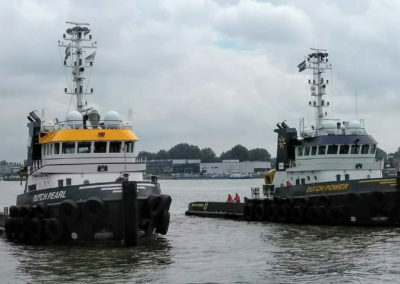 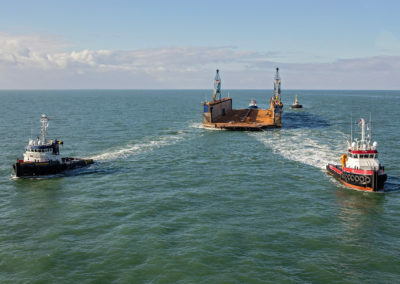 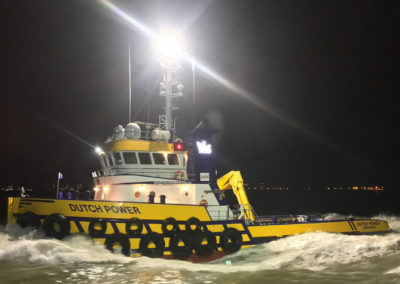 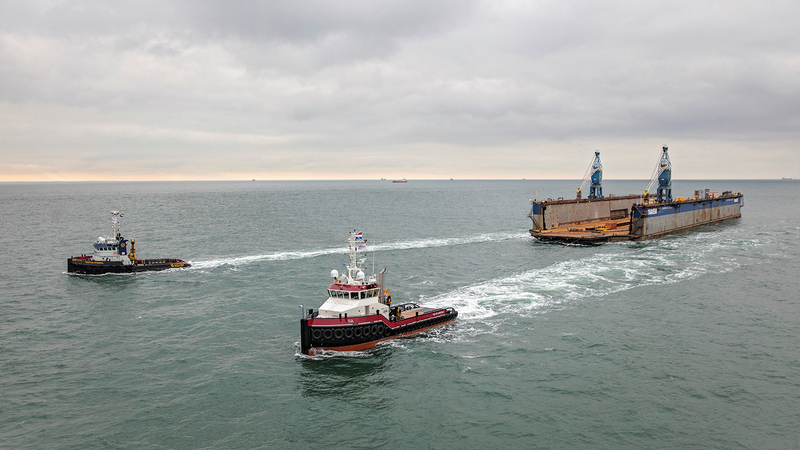 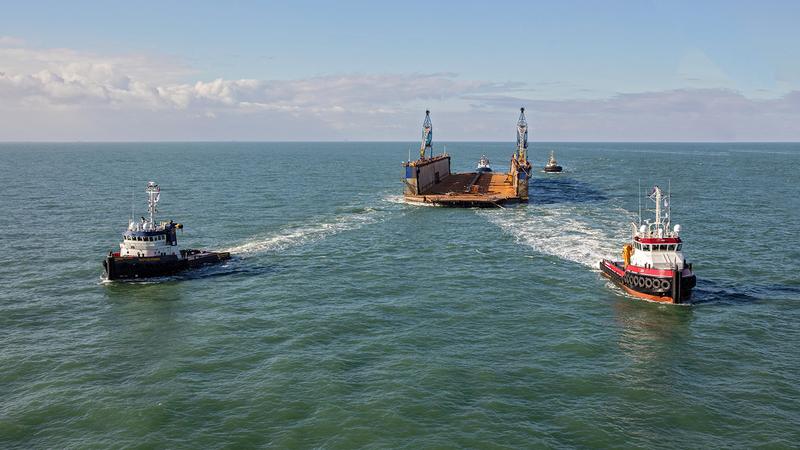 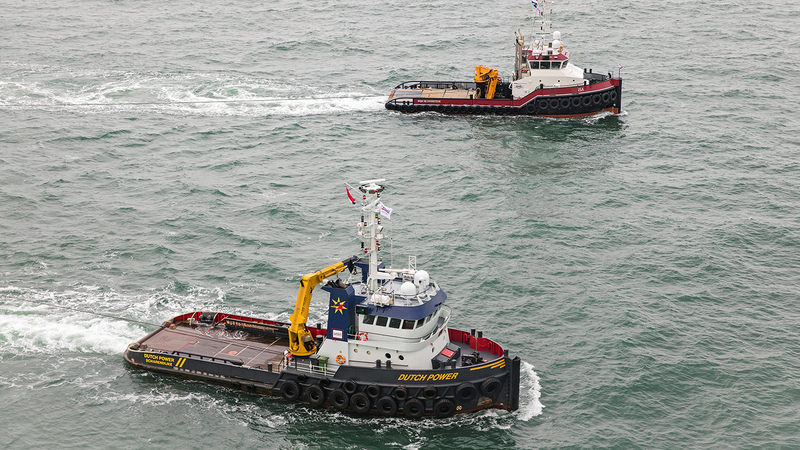 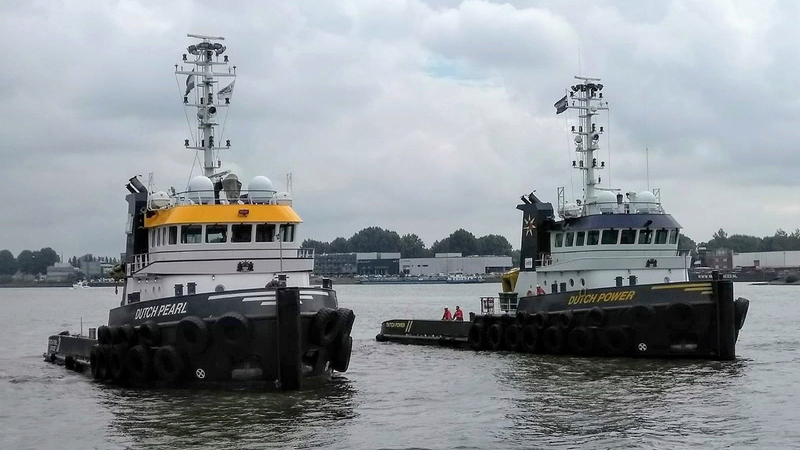 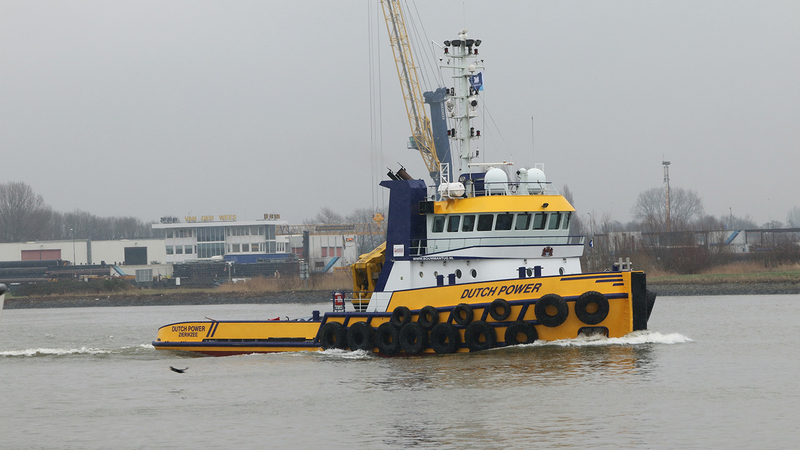 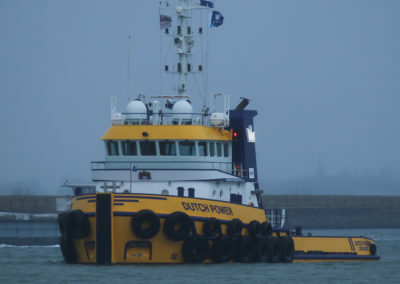 The “DUTCH POWER”, built in 2009, is a shallow draft anchor handling tug of 31,10 by 9,50 meters. 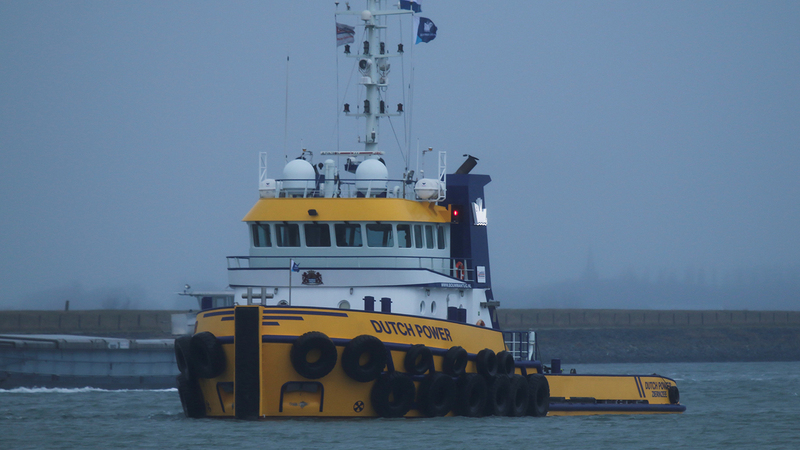 The twin Mitsubishi engines delivering 3.182 BHP which results in 45,1 tons bollard pull. 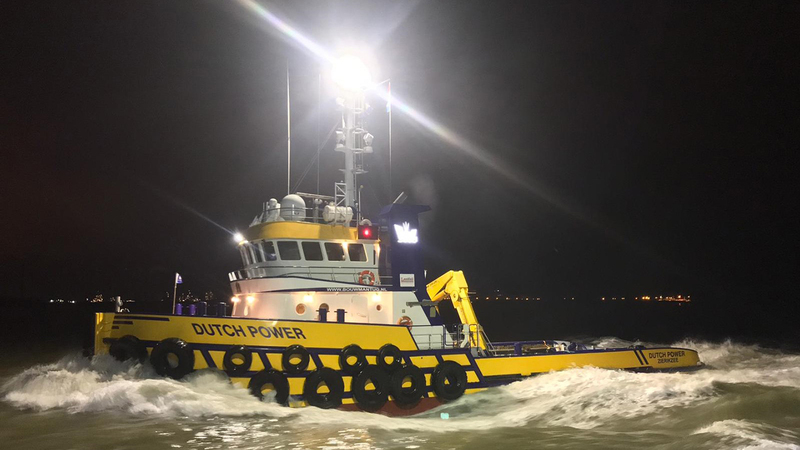 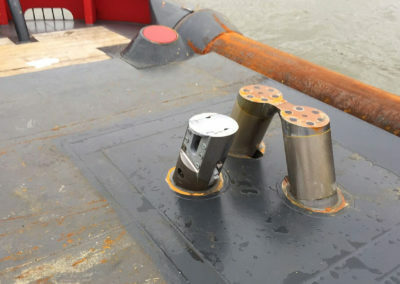 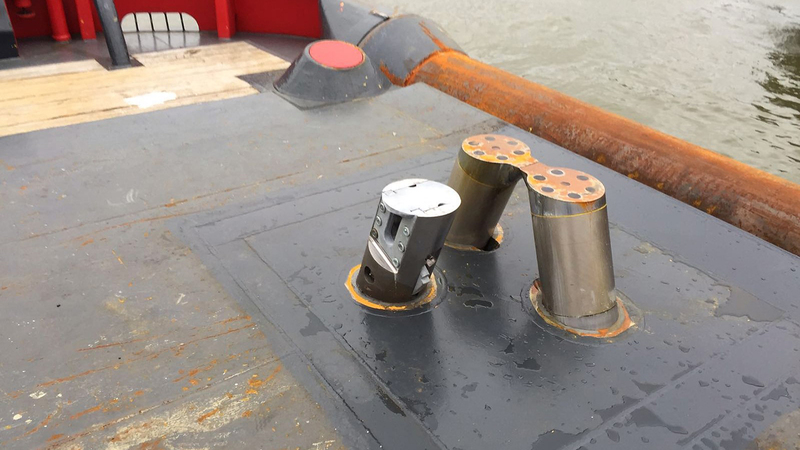 In combination with minimal draft, the 340 kW bow thruster and the twin fixed propellers in nozzles with 4 fishtail rudders, gives the vessel maximum maneuverability. 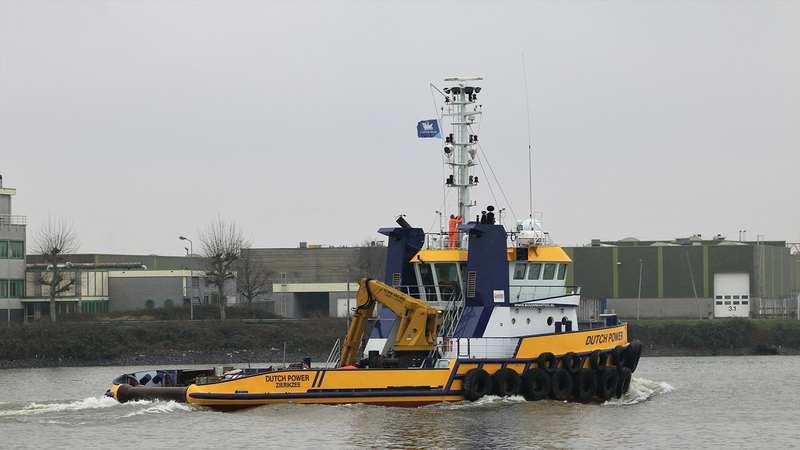 The strong HEILA marine deck crane with a maximum lift capacity of 9,0 tons(m) at 16,3 meters, the double drum winch of 60 tons (pull), two tugger winches of 8 tons and a maximum clear deck area, makes the vessel more than multifunctional.